We wrapped up the fifth Mozilla Festival. There’s a lot of great things to share about the event, and here I’d just like to post the transcript from a quick talk I gave. It’s about the history of Mozfest and a light overview of the participation model. 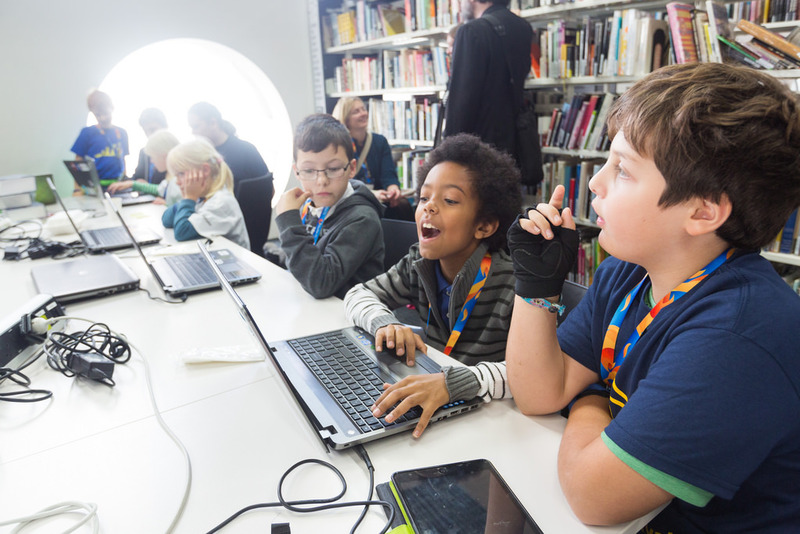 Since 2010, participants come to the Mozilla Festival with an idea, no matter how humble or ambitious, and leave with a community. 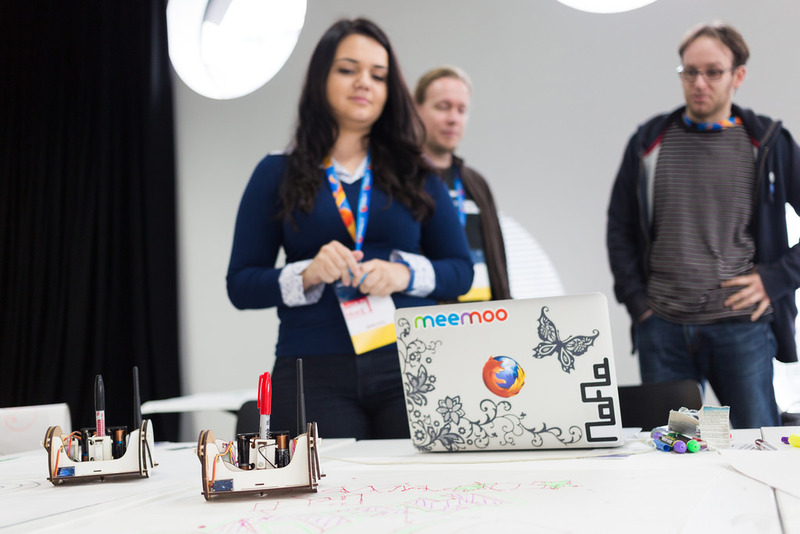 Now in it’s fifth year, I’d like to share with you what Mozfest is teaching and learning. And how you can make the most of the weekend. Five years ago, we had a crazy idea to do a festival in a public square in Barcelona. Among the hack buses and pickpockets, an educator named Jess and an engineer named Atul met and had an idea. They wanted to make something to help teens remix websites and understand the underlying web technology. From their first user story at the festival, Jess and Atul evolved their hack into something called X-Ray Goggles. 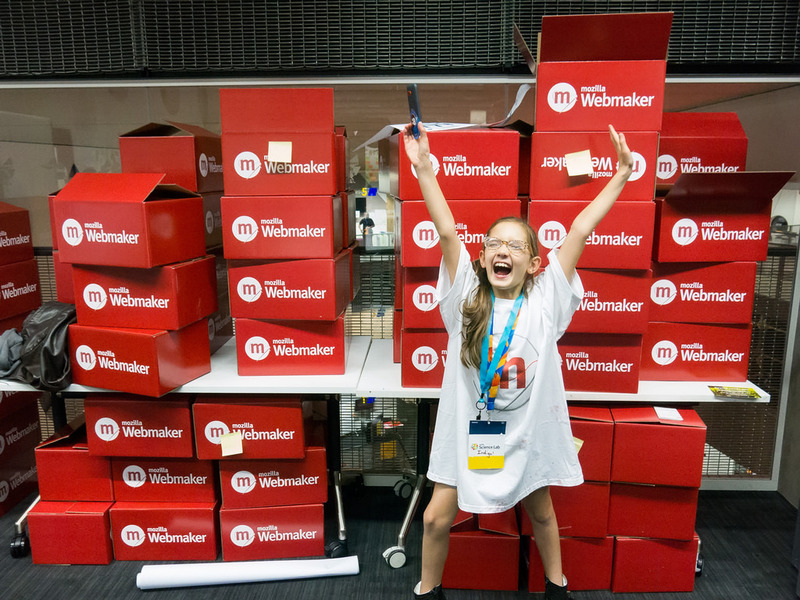 It included hackable curriculum and much of the methodology in what we now call Webmaker — a product which today reaching hundreds of thousands learners. A year later the Mozilla Festival moved to London. In Ravensbourne College we found a modern learning institution w a true maker spirit. 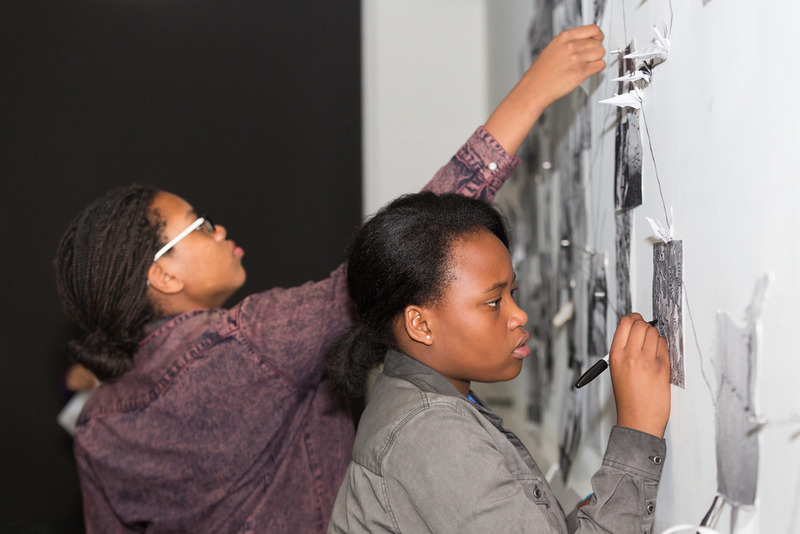 The partnership with Ravensbourne is incredible. We learn from the students, their staff, and in such a flexible, interactive space. Our first year in Ravensbourne, journalists and open data experts were excited about how data-driven journalism could make storytelling more like the web. Liliana from the Open Knowledge Foundation led a session called the Data Journalism Handbook. 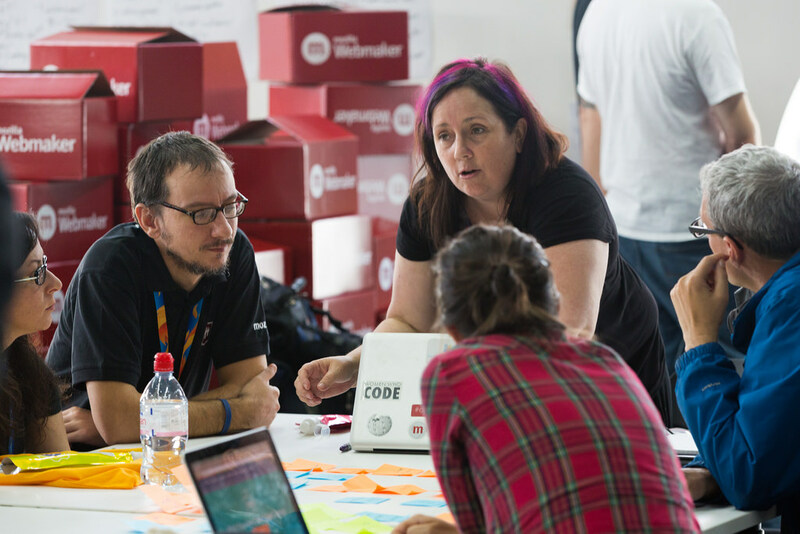 Her idea at Mozfest became an international collaboration. It involved dozens of journalism’s leading practitioners, from the BBC, Deutsche Welle, the Guardian, La Nacion, ProPublica, and many others. The handbook they started at Mozfest was published by O’Reilly and translated by community members into four languages. Year after year, we’ve seen amazing collaborations formed and passions awakened. Joe first came to Mozfest in 2011 when he was 16. His techie inclinations were transformed into a passion for teaching about the web. At Mozfest, Joe prototyped a card game to teach programming. And through community involvement, his card game evolved and became the ridiculously fun coding game, Erase All Kittens. Here also he met his future employer, Decoded. And then founded his own company to to teach the web. 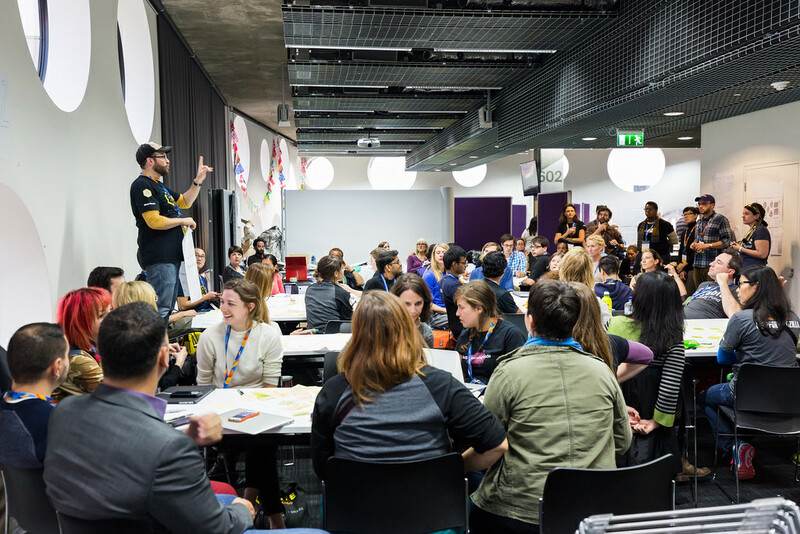 This year Joe joins us as a Mozfest Super Facilitator, mentoring new facilitators on how to run interactive sessions. 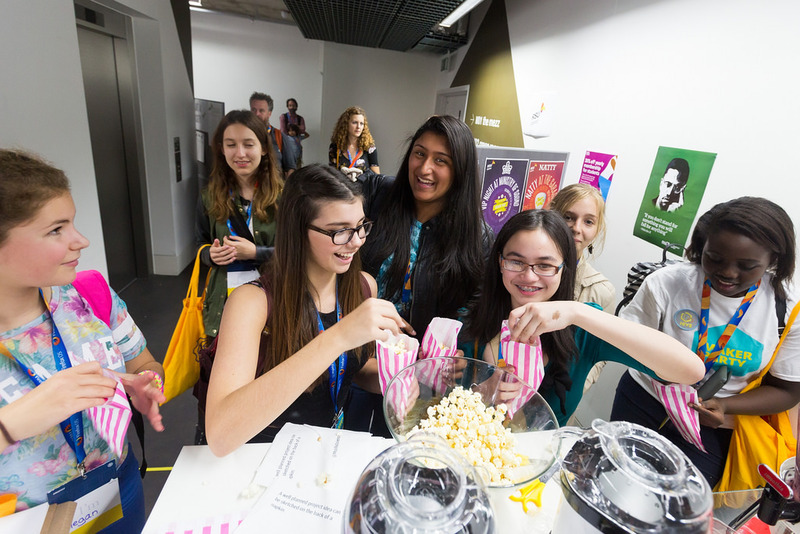 For me as the Festival Director each year, the most exciting part of Mozfest is creating spaces for participants to learn and to lead. And in that spirit, the festival is organized in a hugely decentralized way. From an initial 350 of us in Barcelona, we’re now nearly 5x the size. I’d like to take a moment and acknowledge the people that make Mozfest happen. If you are one of the 120 Mozfest volunteers and core team, I’d like to invite you to stand up and please remain standing. 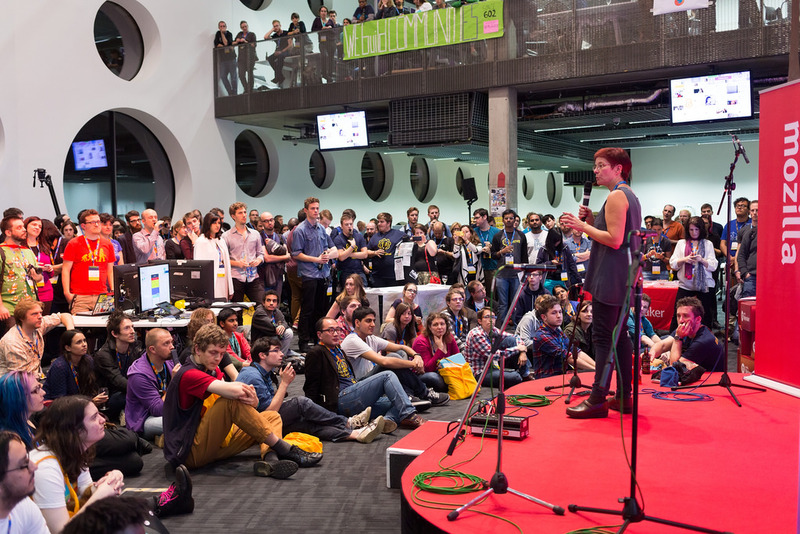 If you are one of 35 Space Wranglers who curate the Mozfest tracks, please stand. And if you’re one of the over 500 facilitators — nearly one in every three participants–please stand. For everyone else: you may not be standing now. But by the end of the weekend, who can you teach? How can you take these ideas and inspirations home with you? Mozfest participants take the spirit of the festival home with them in many ways. There are ways, small and large, to make the most of this weekend. 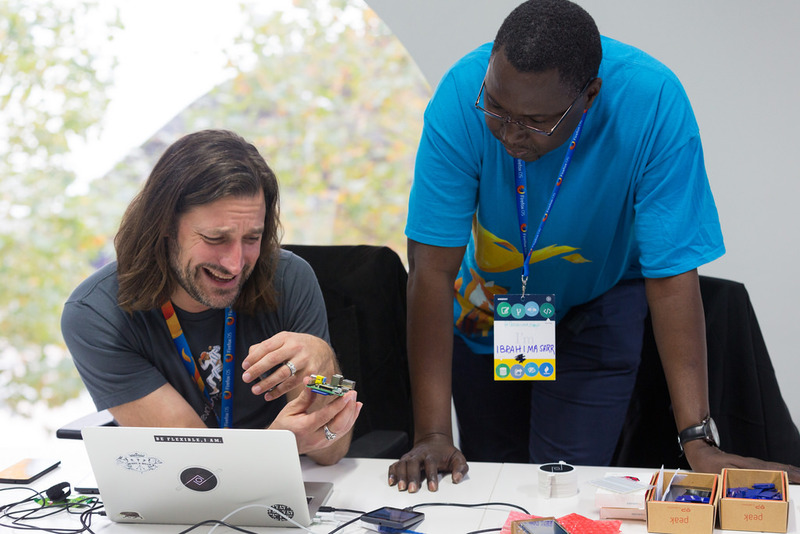 Will you build the next tool to teach the web? Or write a world-class publication together with someone sitting next to you? Or be inspired to take what you learned and teach your community at home? 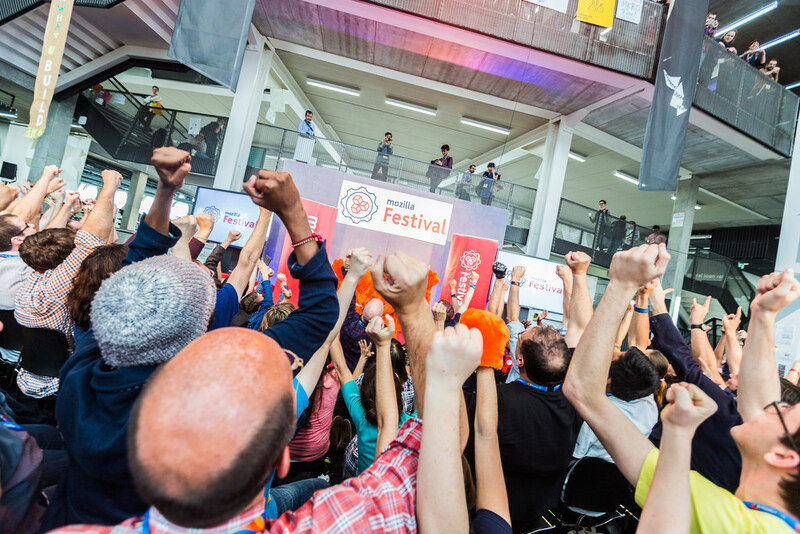 We invite you to make Mozfest yours. Be open. Who knows who you’ll meet & where it might take you. Be a learner and a teacher. Everyone has something to share and something to help others with. Be spontaneous. Your plan is the first causality of Mozfest. This is a festival of organized chaos. Embrace it and see where your interests and serendipity lead you. You’ve arrived here with an idea. However modest or ambitious. And by Sunday evening, we’ll leave here as a stronger, better community. Photo highlights and more #mozfest pics.